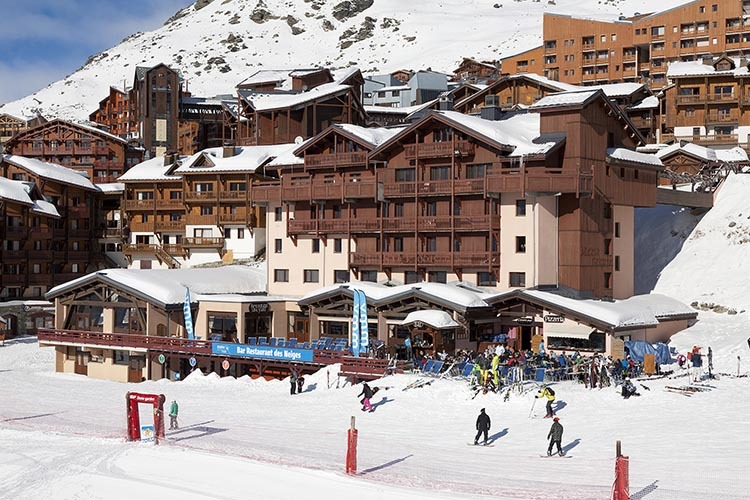 Val Thorens deserves its international reputation. 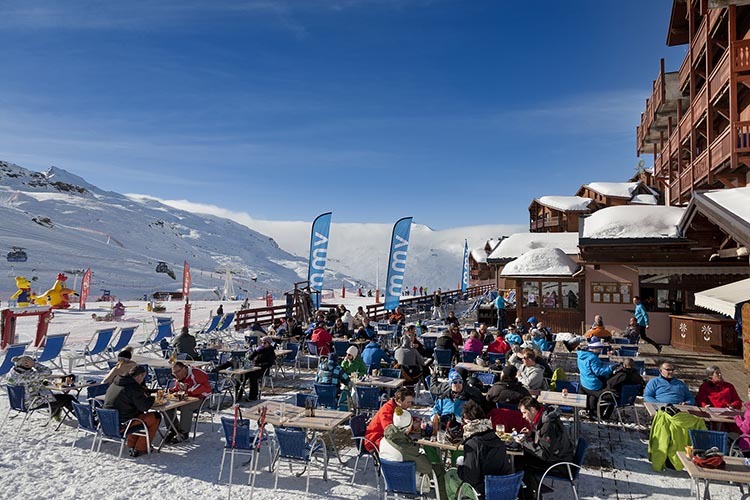 The highest resort in Europe reigns in all its majesty at the top of the Trois Vallées, the largest ski area in the world, which has no less than 600 km of slopes.Nothing better than escaping on holiday in Val Thorens, as a couple or with family and friends. 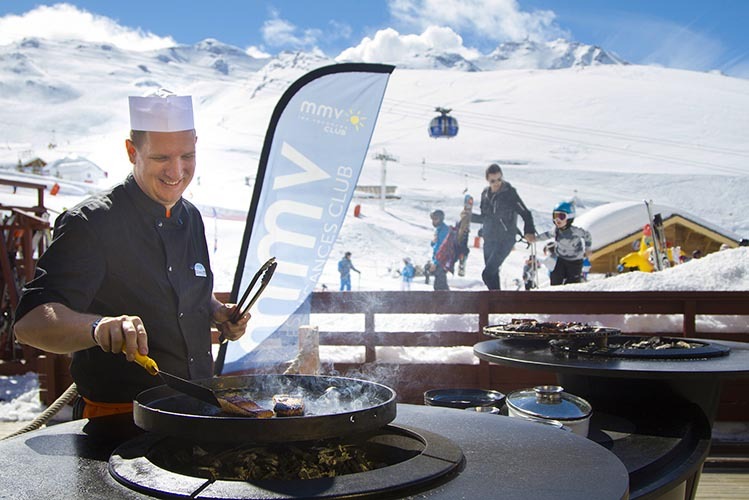 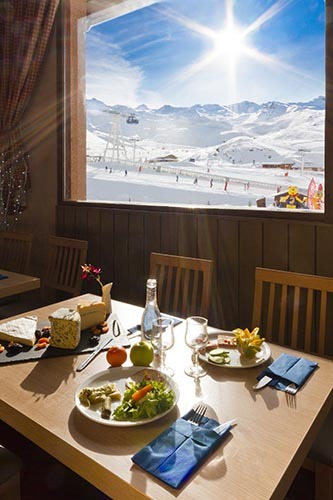 The Hotel Club mmv Les Neiges is a newly rated 3-star Holiday Village, ideally located in the resort of Val Thorens. 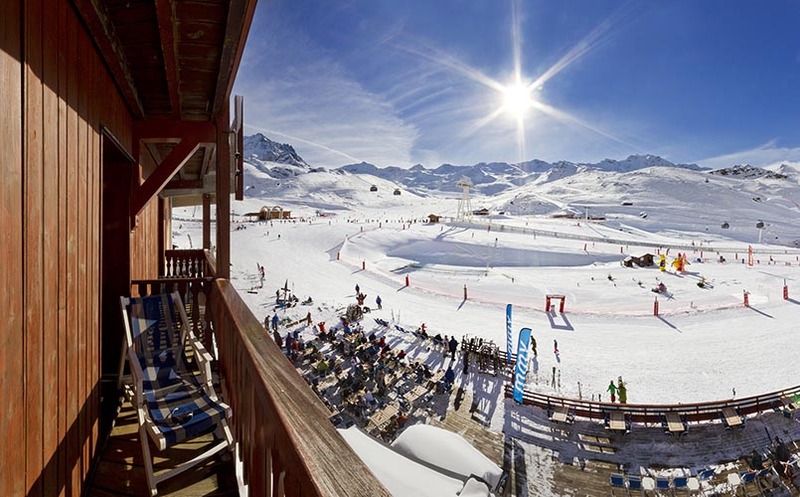 Located on the snow at the foot of the slopes. 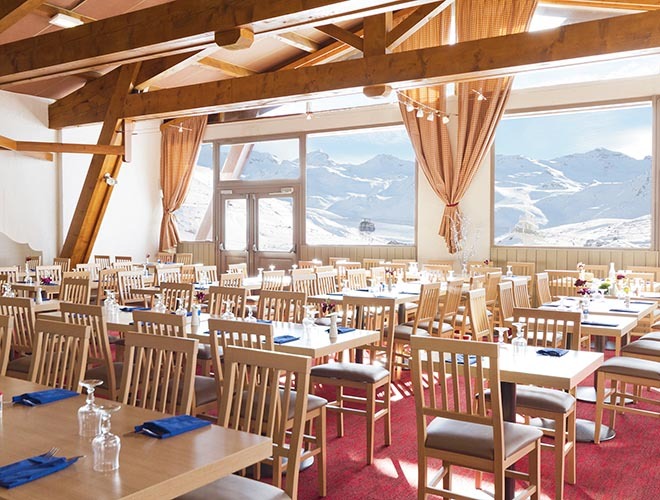 You benefit from direct access to the 3 Vallées skiing area, which is bound to please ski fanatics.The Hotel Club Les Neiges has many advantages for a skiing trip to Val Thorens with family or friends: an entertainment area with bar and a beautiful south facing terrace with a breathtaking view of the surrounding mountains.The Hotel has 52 spacious, comfortable and family rooms, that accommodate 2 to 4 beds. 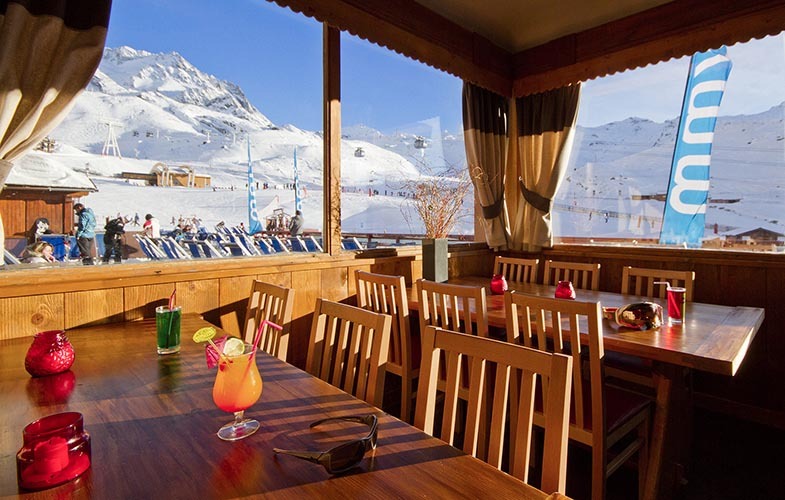 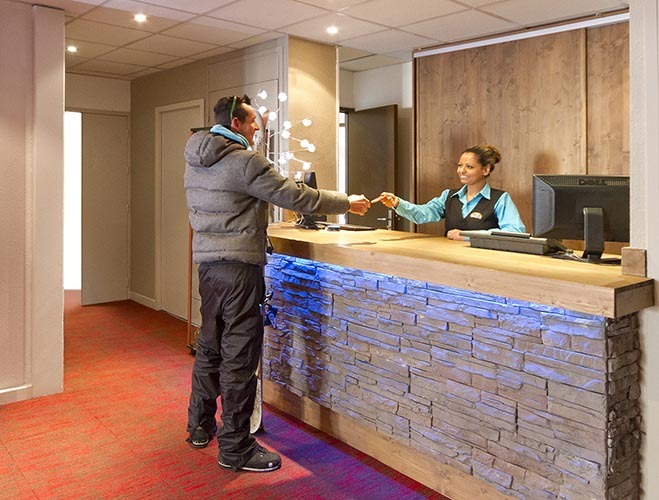 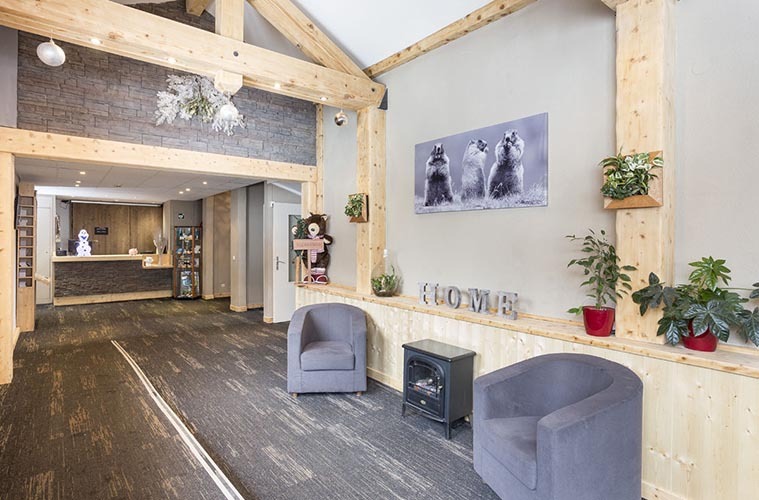 Pamper yourself at 2,300 metres thanks to the quality services of this Hotel Club in Val Thorens. 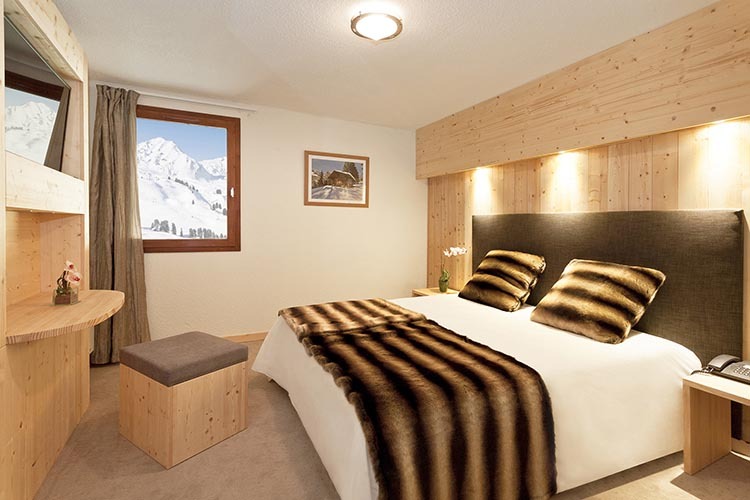 Each room has the comfort you need to really enjoy your après-ski and rest after your exercise. 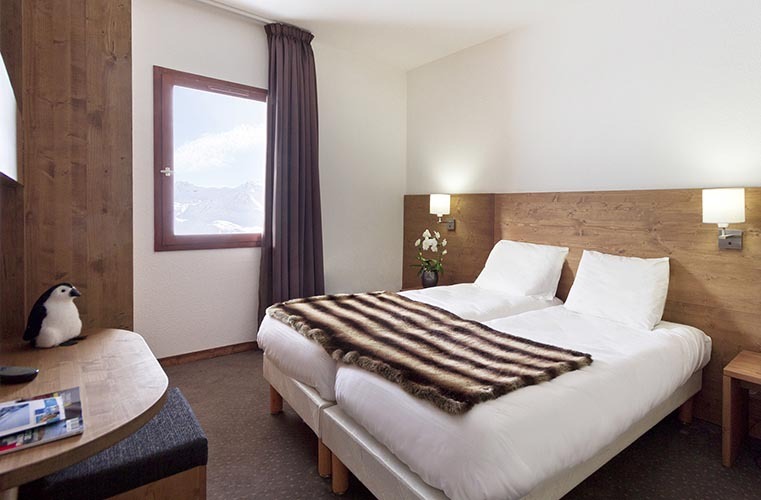 Rooms with warm comfort. 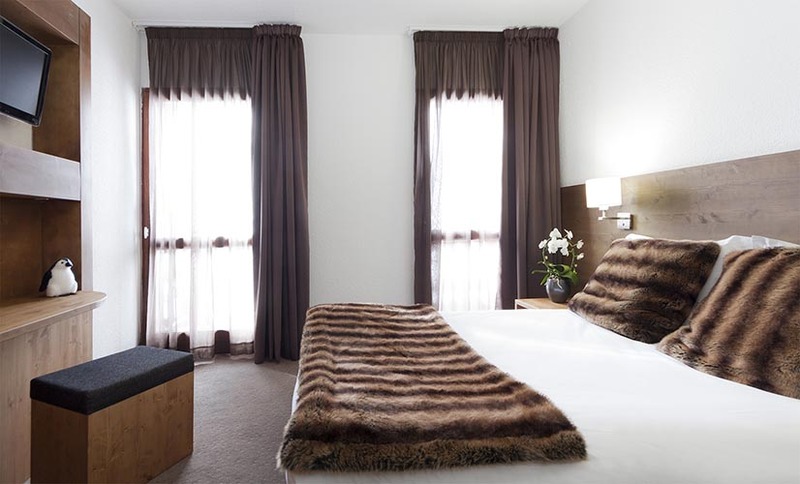 Furniture: Wardrobe, Bedside Table, Desk. 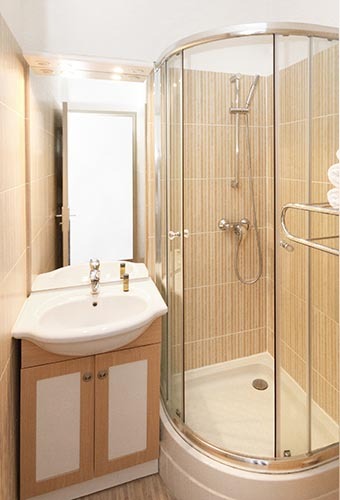 Shower or Bathtub. 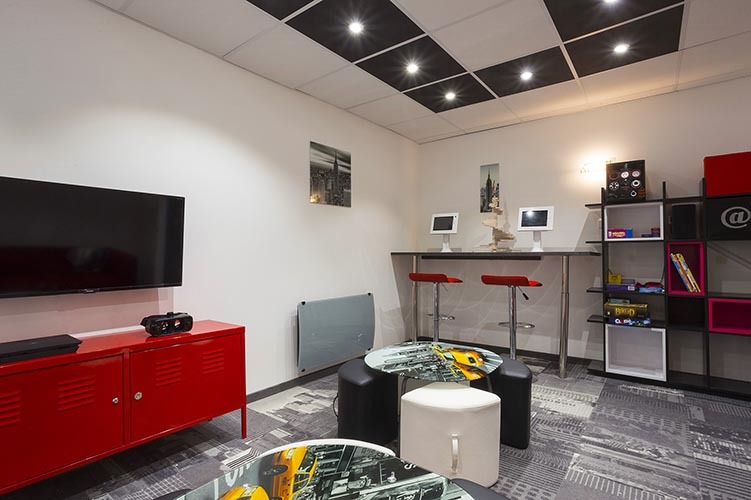 Flat Screen TV with Satellite/Cable/terrestrial channels, Telephone and WiFi access. 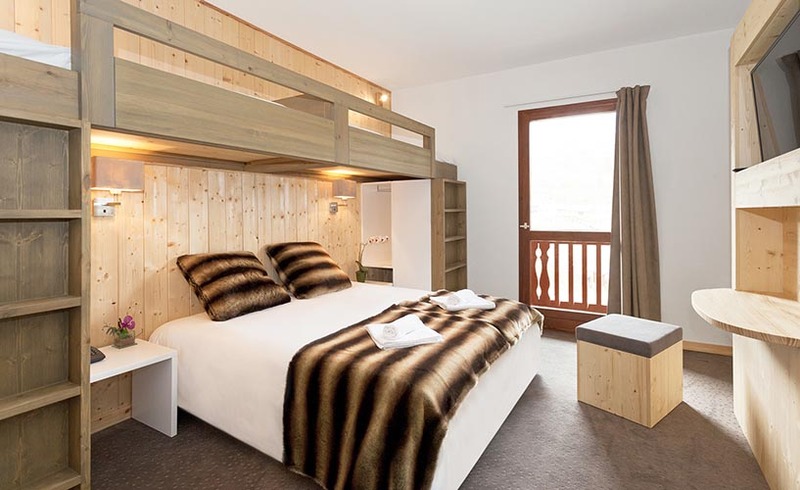 Balcony for several three-person rooms and four-person rooms. 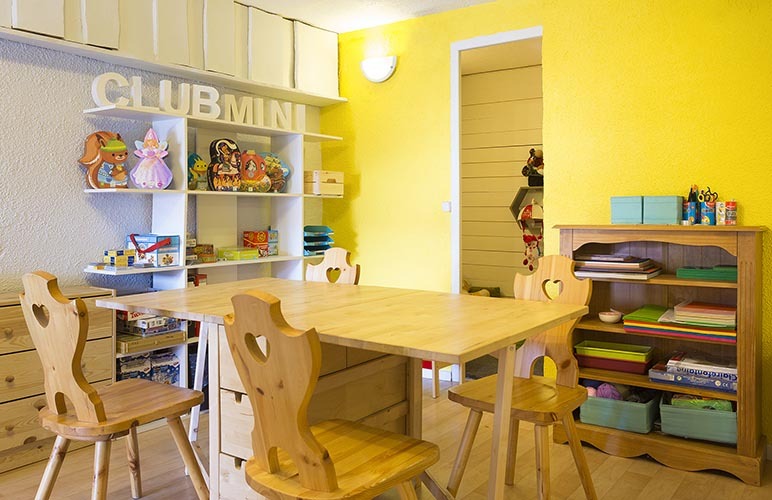 Little ones are welcomed and supervised in a cosy colourful and inviting setting. 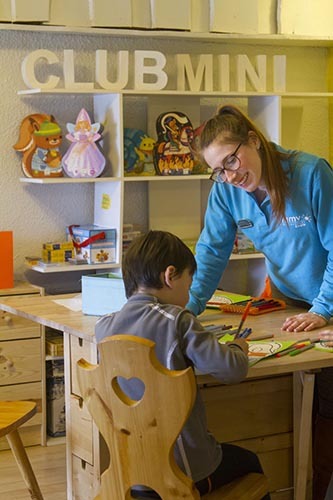 Under the watchful eye of their entertainment teams specialising in early childhood development, they will discover the delights offered by the snow and learning games. 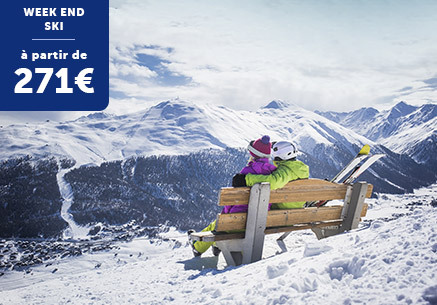 French and belgium school holidays: 6 half days: 189€. 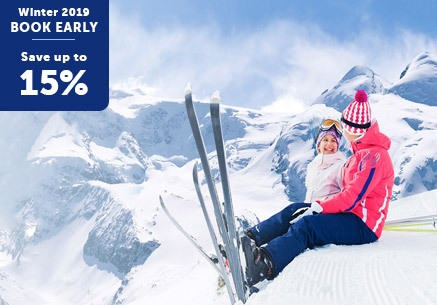 Distance to the ski school : 20 m.
Distance to chairlifts : 50 m.
Under the watchful eye of their entertainment teams specialising in early childhood development, they will discover the delights offered by the snow and early learning games. 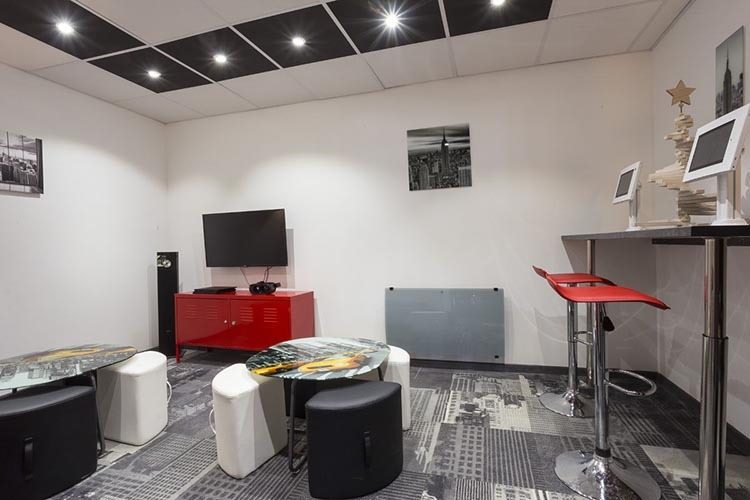 Séjour agréable, emplacement exceptionnel, cependant peut mieux faire en terme de literie et de restauration, excellent rapport qualité et prix. 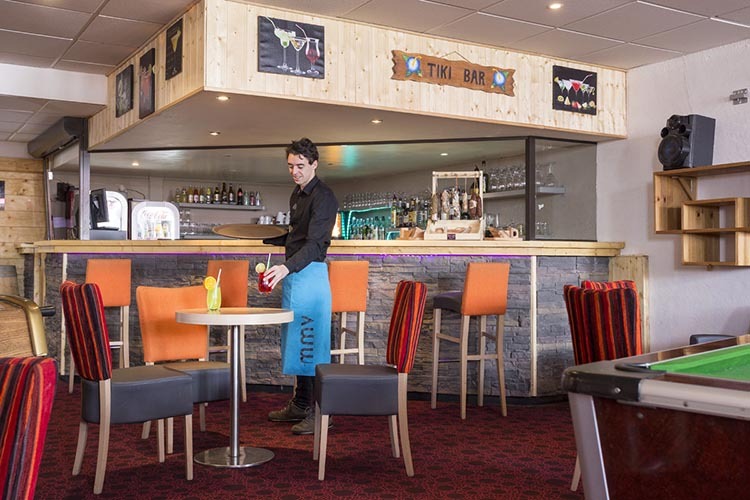 Personnel agréable et professionnel. 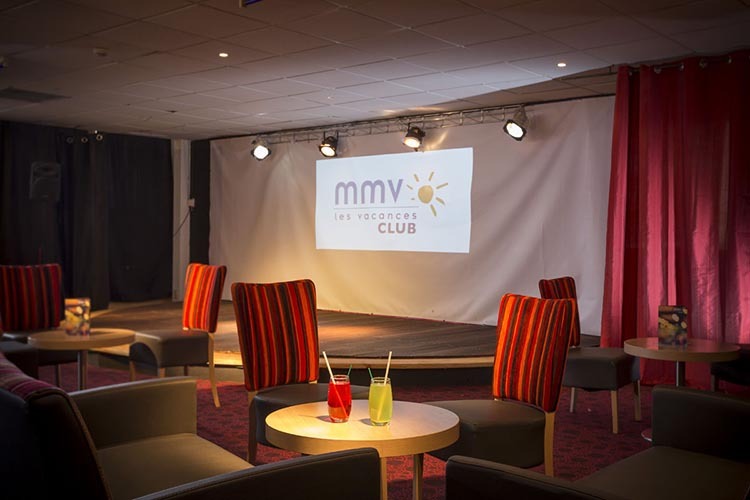 Club enfant moyen.